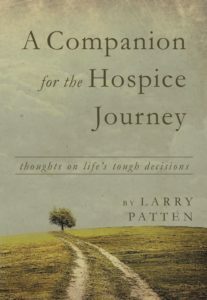 www.larrypatten.com – Page 186 – Faithful and foolish reflections . . .
Oatmeal or granola? Sourdough toast or a bagel with cream cheese? Since it’s winter, my favorite choice—and I love to contemplate this while thinking of friends in frigid Nebraska or icy Wisconsin—involves sauntering a few steps from my kitchen. Should I drink OJ from the supermarket or head outside to determine which oranges are ripe on our backyard trees? After grabbing a few, I’d then squeeze dee-licioius citrus nectar into a glass! Choices for each person are more bountiful than the hairs on our head, the sand on the beach, the stars in the sky, or other clichés I could keep using. Tree-ripened or store-bought? Leaded or unleaded? Arise or punch the snooze button? Peets or Starbucks? Packers or Steelers? “I have set before you life and death, blessings and curses. Choose life,” Deuteronomy declares, blatantly speaking for the Holy with ancient words that are as fresh as the oranges dangling from my tree. Life or death . . . choose! If only choices were that simple. You are an egret on a gloomy day in the San Joaquin Valley. On a recent morning, I’d read the snippet from Matthew on “the light of the world,” a passage I’ve used with sermons, Bible study, and—in deeply private ways—for my prayer life. Hours later, while pedaling through a park, I glanced right, abruptly squeezed my brakes, and came to a complete stop. 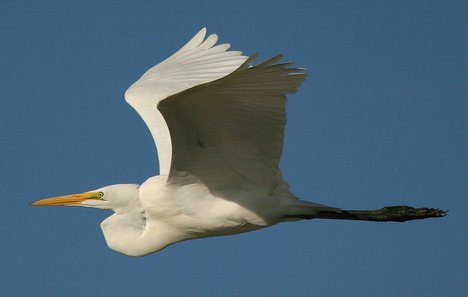 An egret stood, still as a statue, in the middle of the field. Behind, vehicles rumbled by on a busy street. Beyond the roadway, suburban homes sprawled, backyards jammed together, and endless driveways poured more cars into the Fresno-area roads. Above and around me, low clouds dulled the day, creating a vase expanse of monotonous, relentless gray. Did I pass or fail the test of my own making? You be the judge. However, before judging me, maybe you’ll join me. This week I read the extraordinarily familiar beatitudes. They are the first notes, a kind of fanfare, to the symphony of Matthew’s fifth, sixth, and seventh chapters, also known as Jesus’ “Sermon on the Mount.” After reading the eight beatitudes—or are there nine?—I wondered: “What if tomorrow, I tried to recall all the ‘tudes?” Since I was the teacher setting the rules for me the student, I made sure I didn’t look at Matthew again and also decided to give myself a minute (tick, tick, tick) to jot down what I remembered. Decision time for you! If you think you know the blessings Jesus spoke of in Matthew . . . quickly turn from your computer and list them right now. Don’t dawdle. And it’s not an open book test. Then come back and see how well, or how poorly, I did.